Bemoore is all about enabling individuals and organisations to feel great and get results. 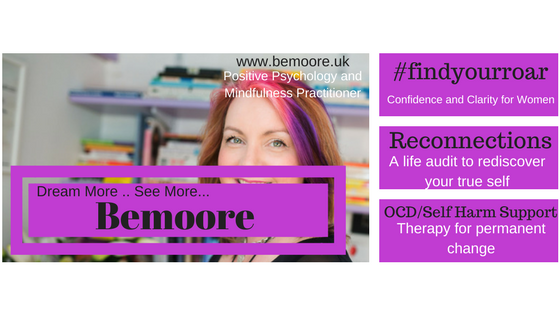 Whether it’s through 121 coaching, corporate leadership or support for deeper challenges such as phobias or anxiety Bemoore offers a way to see forward. My blog page is here is all about some of the challenges I face as a busy woman running a business and a family. Dream More, See More and Be.. whatever you want to be!